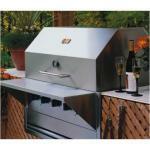 The largest of Fire Magic's infrared burner grills, the Elite Magnum provides an incredible 1,056 square inches of grilling space and a total heat output of 150,000 BTU's. 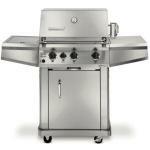 That's enough to run a fair-sized restaurant kitchen, or keep up with the appetites of neighborhood gatherings. 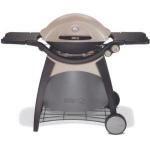 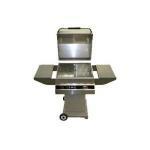 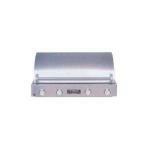 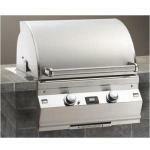 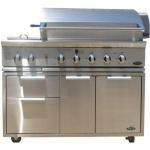 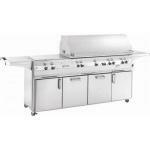 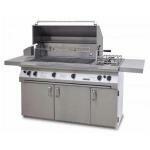 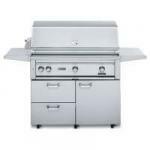 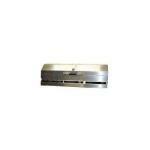 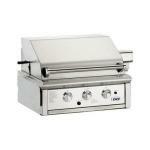 Weber's Summit S-420 Propane Gas Grill offers four burner cabinet-style grilling without all the expensive add-ons. 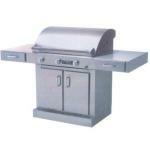 If you want a solid basic grill for an average family cookout, the S-420 is a good choice. 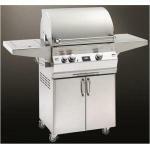 A three burner 42,000 BTU grill with cast iron grates, flavorizer bars, and high quality stainless steel construction, the Weber Genesis E-320 has the cooking capacity you'll need to feed large families and a few quirks to go along with the perks.